The embodiment of erudite, well-bred men of means in American entertainment, Edward Herrmann was an Emmy- and Tony-winning actor whose gift for quiet drama and frothy comedy enlivened such projects as "Eleanor and Franklin" (ABC, 1976), "Love Affair: The Eleanor and Lou Gehrig Story" (NBC, 1978), "Reds" (1981), "The Lost Boys" (1987) and "Gilmore Girls" (The WB, 2000-07). Tall, reserved and possessed of a marvelously fluid voice, Herrmann's characters ran the gamut of the rich, intelligent and powerful - from multiple portrayals of Franklin Delano Roosevelt and the kindly founder of St. Eligius hospital on "St. Elsewhere" (NBC, 1982-88) to a venal William Randolph Hearst in the feature film "The Cat's Meow" and the emotionally complex patriarch on "Gilmore Girls." In all cases, Herrmann's portrayals found the humanity behind the occasionally stuffy veneer of his roles, which kept him busy in films, documentary narration, advertising and on television and the stage for over four decades. His death on December 31, 2014, following a brief battle with brain cancer, was mourned by fans and peers alike. Born Edward Kirk Herrmann in Washington, D.C. on July 21, 1943, he was the son of John Anthony Herrmann and his wife, Jean O'Connor. Raised in Grosse Point, MI, he graduated from Bucknell University in 1965 and later earned a Fulbright Fellowship, which allowed him to study acting at the London Academy of Music and Dramatic Art. Herrmann began his professional career on the stage in Dallas before making his way to Broadway with Michael Weller's "Moonchildren," which opened in Washington, D.C. in 1971. He soon became a staple of the New York stage, earning a Tony Award in 1976 for the revival of George Bernard Shaw's "Mrs. Warren's Profession." His first screen role was an uncredited turn as a policeman in the moribund Sophia Loren comedy "La Mortadella" (1971), but within a year's time, he was landing major supporting roles in features like "The Paper Chase" (1973), "The Great Gatsby" (1974) and "The Great Waldo Pepper" (1975). These early roles showed Herrmann's considerable versatility; in "Paper Chase," he was Timothy Bottoms' study partner, while his piano-playing Klipspringer in "Gatsby" is a dyed-in-the-wool heel who takes advantage of Gatsby's wealth. After a brief tenure on the Emmy-winning "Beacon Hill" (CBS, 1975) - an Americanized version of "Upstairs, Downstairs" (LTW, 1971-75) - he received near-universal acclaim, as well as an Emmy nomination, for his turn as the youthful Franklin Delano Roosevelt in "Eleanor and Franklin" (ABC, 1976). The miniseries, which covered the future president's life from his early twenties through his fifties and ascension to the White House, won nine Emmys and put Herrmann on the map as a screen performer of remarkable range. It was immediately followed by "Eleanor and Franklin: The White House Years" (ABC, 1977), which covered Roosevelt's 12 tumultuous years as the Commander in Chief. Herrmann was again nominated for an Emmy before giving another critically lauded biographical turn, this time as baseball legend Lou Gehrig in "Love Affair: The Eleanor and Lou Gehrig Story" (NBC, 1978). In subsequent interviews, Herrmann stated that while his turns as Roosevelt were his favorite roles, he was most proud of his performance as Gehrig because he learned to pitch and hit southpaw in order to play the part. The success of these TV projects lead to starring roles in a few features, including "Take Down" (1979), "The North Avenue Irregulars" (1979) and the odd anti-IRS comedy "Harry's War" (1981), but none were hits at the box office, leading Herrmann to return to regular duty as a supporting player in features and on television. He was the innocent minister killed by war-hungry boys in a PBS production of Mark Twain's "The Private History of a Campaign that Failed" (1981), then essayed Socialist observer and writer Max Eastman in Warren Beatty's epic "Reds" (1981), before earning a recurring role and two Emmy nominations for "St. Elsewhere" (NBC, 1982-88) as Father Joseph McCabe, the founder of the show's hospital setting. Herrmann's output during the 1980s and early 1990s showed the scope and breadth of his remarkable talents as he segued effortlessly from a singing F.D.R. in John Huston's film version of "Annie" (1982), to a pompous Alger Hiss in "Concealed Enemies" (PBS, 1984), a dramatization of his 1948 trial for treason as a Communist. Herrmann also found time to essay CBS news chief Fred Friendly in "Murrow" (HBO, 1986), became a cult favorite starring as a gentle video store owner who also fronts a clan of teen vampires in the comedy/horror staple, "The Lost Boys" (1987), and channeled his inner ghoul as jovial Herman Munster in "Here Comes the Munsters" (Fox, 1995). He also appeared as a small cadre of upper-class types in Woody Allen's "The Purple Rose of Cairo" (1985), "Overboard" (1987), "Big Business" (1988), the father of "Richie Rich" (1994) and Nelson Rockefeller in Oliver Stone's "Nixon" (1995) - the latter of which earned him a Screen Actors Guild nomination. Herrmann's warm, precise tone made him an ideal narrator for television documentaries, which he began in earnest in 1997 with The History Channel's adaptation of David Halberstam's "The Fifties." The successful project led to a lengthy relationship with the network through 2008, as well as with PBS' "American Experience" (1988- ) and "Nova" (1974- ) series. Chrysler also tapped him to serve as spokesperson for their Dodge line of cars and trucks in a series of gently humorous commercials between 1992 and 2001, and he earned several awards for his voiceover work for numerous audio books and dramatizations. The new millennium saw Herrmann busier than ever with several significant roles in television series and feature films. He finally netted a long-overdue Emmy in 1999 for a recurring role on "The Practice" (ABC, 1997-2004) in which he portrayed cast regular Kelli Williams' former law professor who must turn to her after he is charged with murder. Herrmann also played Harrison Beecher, the lawyer father of deeply troubled inmate Tobias Beecher (Lee Tergesen) on "Oz" (HBO, 1997-2003), and enjoyed a rare lead as publishing magnate William Randolph Hearst, whose passion for teenaged actress Marion Davies allegedly led him to murder silent movie producer Thomas Ince in Peter Bogdanovich's critically well-received "The Cat's Meow" (2001). Other solid turns came as Raymond Massey opposite James Franco's "James Dean" (TNT, 2001), Catherine Zeta Jones' cuckolded husband in the Coen Brothers' "Intolerable Cruelty" (2003) and as film censor Joseph Breen, who battled Howard Hughes (Leonardo DiCaprio) in Martin Scorsese's epic, "The Aviator" (2004). Herrmann gained a whole new audience he had not enjoyed since "The Lost Boys" years - teenage girls - when he was cast in the charming comedy-drama, "Gilmore Girls." His Richard Gilmore, a wealthy insurance executive, was often at odds with his daughter (Lauren Graham), who became pregnant at 16 and tarnished the family name, but shared a deep and warm relationship with her daughter, Rory (Alexis Bledel). Herrmann brought his signature blend of gravitas and wry humor to his role, which embodied the best and worst qualities of grandparents in one complicated and engaging character. 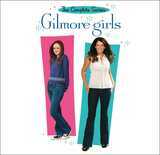 Post-"Gilmore Girls," Herrmann maintained his regular schedule of guest appearances on television shows and features, as well as frequent duty as narrator for documentaries. He also enjoyed a story arc in the fourth season of "Grey's Anatomy" (ABC, 2005- ) as a former pharmacist who joins Seattle Grace as an intern, and appeared in the final season of the comedy "How I Met Your Mother" (CBS 2005-2014) as a truculent minister. Edward Herrmann died on December 31, 2014 in New York, following a brief battle with brain cancer. He was 71. Cast as William Randolph Hearst in "The Cat's Meow"
Co-starred on Broadway in "Mrs. Warren's Proffesion"
Feature debut, bit role, "Lady Liberty"
Had recurring role on the ABC drama series "The Practice"
Off-Broadway debut, "The Basic Training of Pavlo Hummel"
Debut as TV series regular, "Beacon Hill"
First substantial role in a feature, Anderson in "The Paper Chase"
Portrayed Alger Hiss in the PBS miniseries "Concealed Enemies"
Cast as Nelson Rockefeller in Oliver Stone's "Nixon"
Played supporting role with Catherine Zeta-Jones in the Coen brothers hit "Intolerable Cruelty"
Co-starred with Leonardo DiCaprio in Martin Scorsese's "The Aviator"
Made an appearance in the hit ABC series "Grey's Anatomy"
Made cameo in final season of "How I Met Your Mother"
Leigh Curran. Actor, playwright. Married on September 9, 1978.